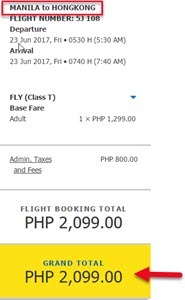 Here are another Cebu Pacific promo fares 2017 you can use for summer vacations and few months beyond! 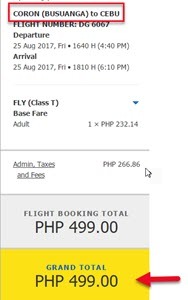 Yes, for our readers who were not able to book their summer trips, here are new affordable tickets from Cebu Pacific Air. Promo tickets as low as P799 are valid for trips on May 15-31, June, July and August 2017. Fares are from Cagayan De Oro, Clark and Cebu to their new destinations. 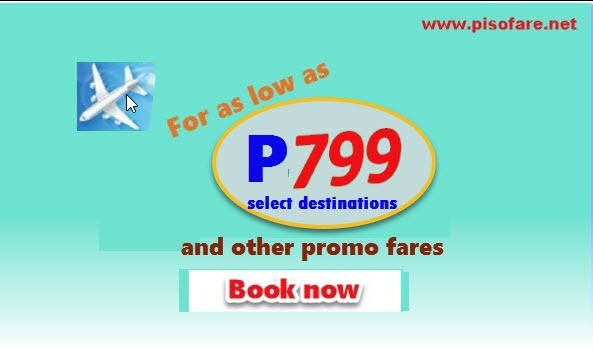 Low fares Manila to Tablas cost P1,099. For only P1,799, travel Manila to Brunei or Kota Kinablau or from Cebu to Singapore. Other international cheap fares include trips Manila or Clark to Hongkong or Macau for only P2,099. Want to avail the low fares? Book online at www.cebupacificair.com or buy your tickets at Cebu Pacific ticketing offices, accredited booking outlets and travel agencies. 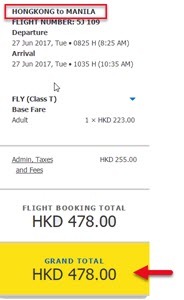 Hongkong to Manila cheap fare cost only HKD 478 or P3,056 for round trip ticket. 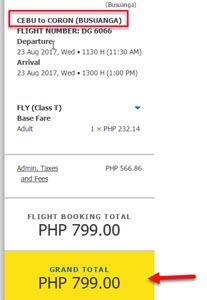 Cebu Pacific sale seats are limited and subject to availability. Be flexible on your travel dates. Search for low fares on other dates if your planned travel date is not on promo. ALL-IN promo fares of Cebu Pacific cover 7 kilos free hand carry bag, base fare, Web Admin Fee and taxes and fees. Want to book online? Booking for this sale do not require Promo Code. Here is an Online Booking Guide for booking Cebu Pacific promo tickets. You may book online even if you do not have a credit card. Payment of booking can be paid at Cebu Pacific Payment Centers which for sure abound in your place. Payment Centers authorized by Cebu Pacific include: 7-Eleven, Cebuana Lhuillier, Robinsons Store, SM Department Store, Bayad Center, EC Pay. Book the Cebu Pacific sale tickets now and pay at Payment Centers. You can pay within 24 hours of your booking! For more promo fares or PISO FARE promos of Cebu Pacific Air and other airlines, LIKE our Facebook: PISO FARE TICKET!!! Follow us to know the latest seat sale and travel updates! you don’t have piso fare promo from manila to tokyo??? ?